In the top left cover of the front cover it is printed (Not a Sticker) Farbige Pressung Limitierte Sonderauflage." 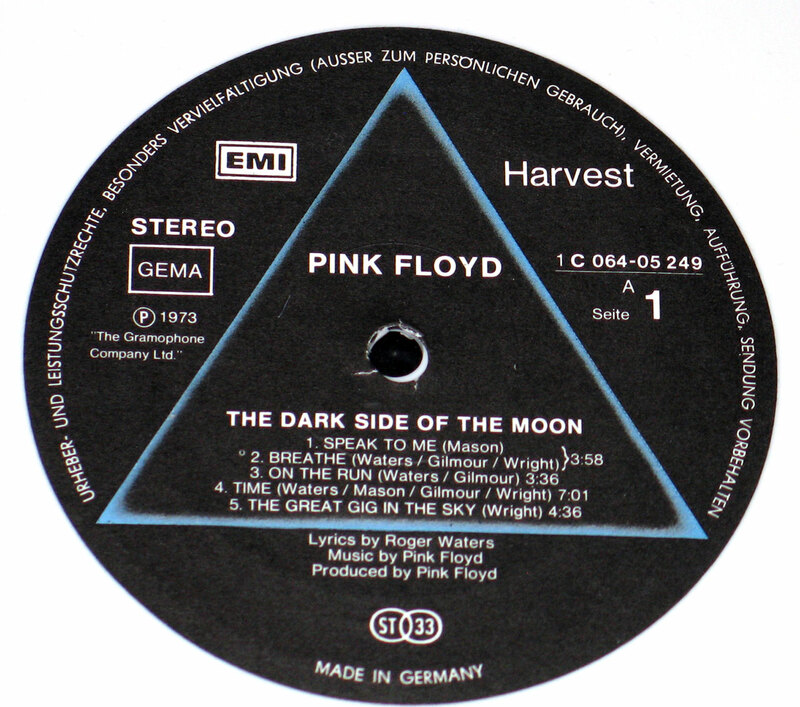 Album Summary: Dark Side Of the Moon is considered the best album ever by the "Pink Floyd"
Album Production: Produced by Pink Floyd. Recorded Abbey Road Studios London. Engineer: Alan Parsons, Peter Jones. Sleeve design: Hipgnosis, George Hardie. 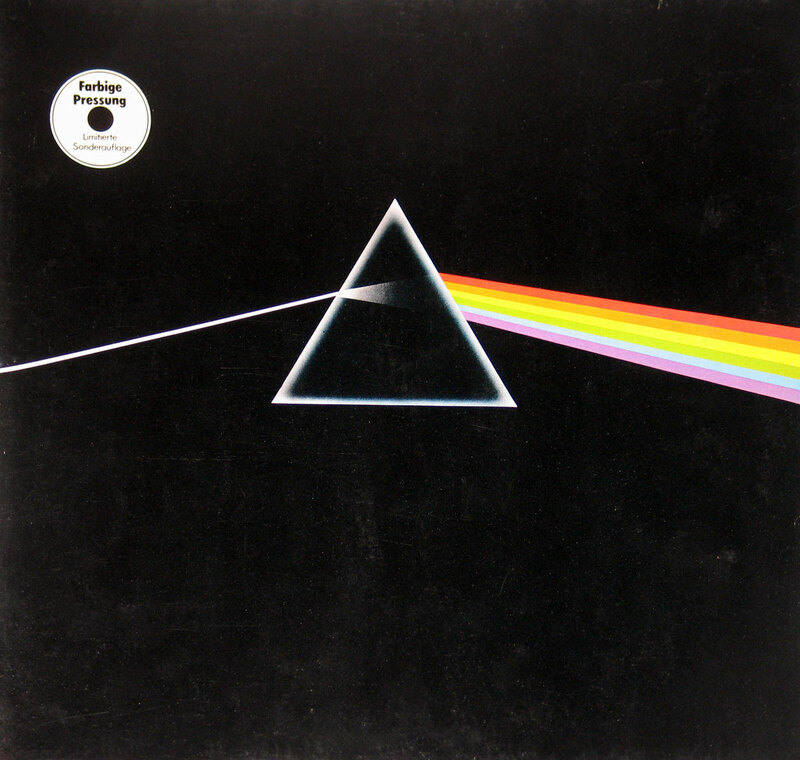 Year & Country This album "The Dark Side of the Moon" was recorded during 1973. 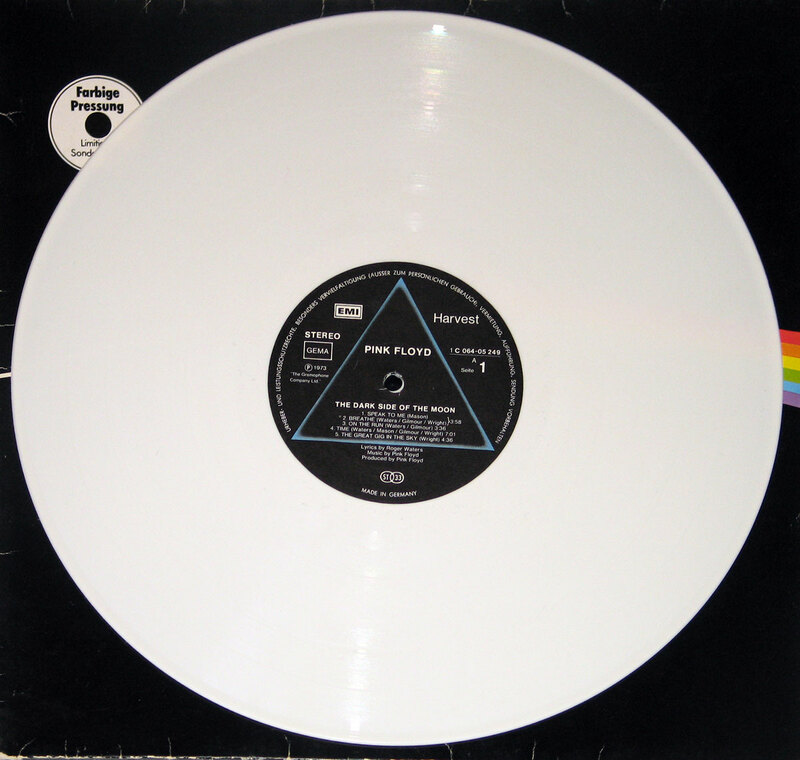 This particular version on White Vinyl was released in 1977.